I’ve always loved really soft leathers and suedes – particularly in jackets, but also in slippers and slip-ons. 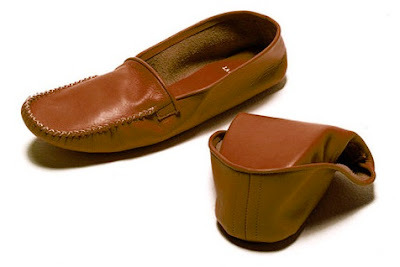 For most men (and I pass no judgment on the rest) slippers are the only leather item they will ever wear against their skin. The only time they will feel that buttery hide against their own. And yet there are very few high-end leather slippers out there. Most leather slippers are made with low-quality hides, often mid-cuts of the skin that are then coated and printed with a grain to hide the lack of natural surface. Or they are thin pieces wrapped around a foam or cardboard lining. 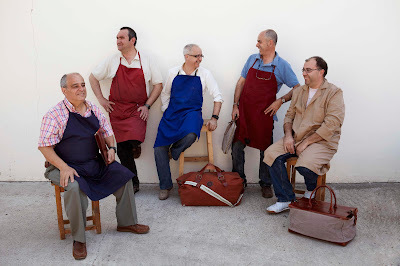 La Portegna is a small Spanish company with a rather different philosophy. 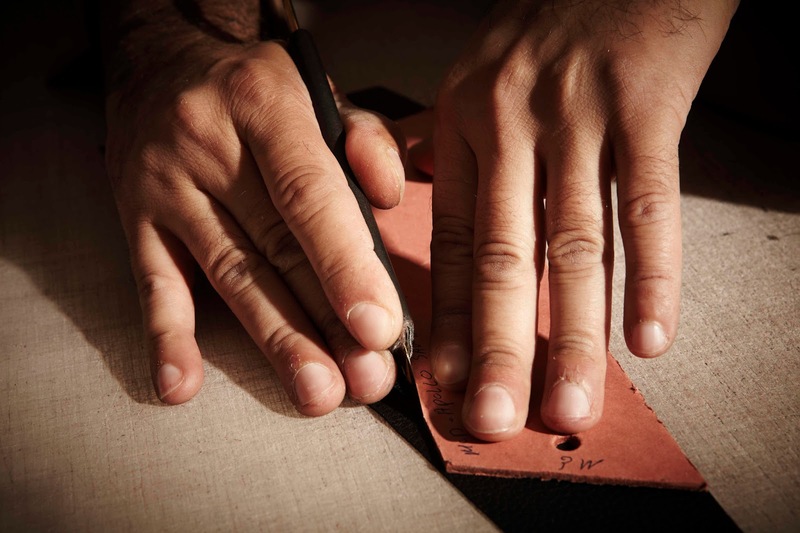 They started out making simple leather travel slippers, made from just two pieces of leather – the sole and the vamp – sewn together by hand in the style of a loafer. 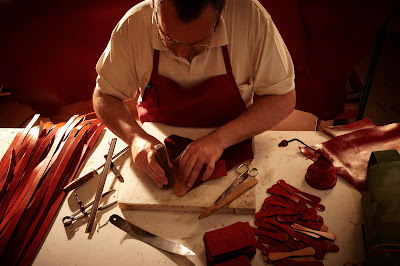 They use only the finest leathers, vegetable tan them, and then treat them with olive oil. They are very soft, and the natural leather together with the simple construction means they stretch and mould to the foot. For anyone that likes the feel of great leather, they are a pleasure. I’ve been wearing La Portegna slippers for a while now, but I’ve always wanted a suede pair – because as you can probably imagine, they are even more soft and supple. My efforts to cajole José, the owner of La Portegna, into making some concluded last year with the idea of a Permanent Style collaboration – a one-off suede slipper, limited to 50 pairs and only available to PS readers. We will be launching La Portegna x Permament Style – the perfect travel slipper – tomorrow. I hope you like it. For more background on La Portegna, see my post from last year. You can follow the discussion on Permanent Style x La Portegna by entering your email address in the box below. You will then receive an email every time a new comment is added. These will also contain a link to a page where you can stop the alerts, and remove all of your related data from the site. Sounds great! Would this be available to only your UK readers, or also to us, the US, readers as well? Surely men will often wear other shoes (driving shoes, boat shoes?) against their skin in the summer months? I seem to remember you advising the same last year as a good means to cool off in the summer (high concentration of close-to-surface blood vessels at the ankles). Still, suede driving shoes are a pleasure next to the skin. Can’t wait for the launch of the PS slippers tomorrow. Apologies for the short digression! You’re right, that should really be ‘slippers and slip-ons’ as in the previous sentence. Thanks for the enthusiasm. I already have a pair and they are lovely! Im thinking of ordering a pair of Portegna travel slippers. I usually wear shoes sized UK 10,5. Would you recommend me to buy the large or extra large size slipper (some charts say a UK 10,5 is a EU 44.5 others a Uk 45)? Many thanks for your always enlightening blog! I’d recommend asking Jose at La Portegna. I don’t have any experience of those sizes as I’m a medium.